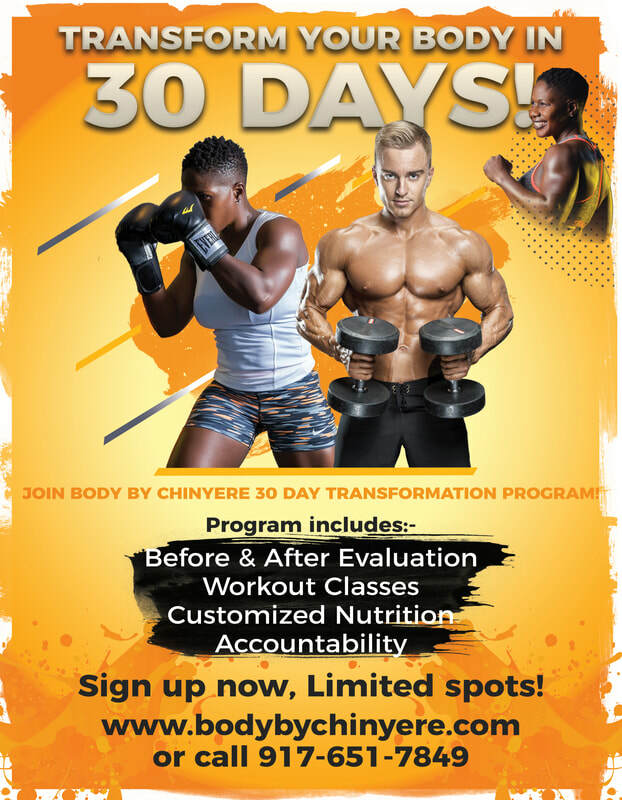 Join Body by Chinyere's 30 Day Transformation. This is a monthly intense program for individuals looking to get fit, lose weight, tone muscles, and build stamina, endurance and flexibility. It is for anyone who is over 250 lbs and under. Participants will meet twice per week for a 1-hour intense workout session.